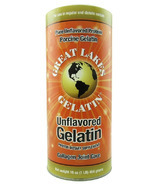 Great Lakes Gelatin is a forward thinking company that was built upon research and development. They are passionate about the tremendous benefits that collagen protein brings to thier customers. As processed foods become more popular, they are a brand that realized people were being deprived of the essential collagen protein their bodies needed to sustain healthy bone and tissue function. 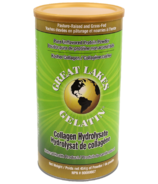 Great Lakes Gelatin's collagen and gelatin products are sourced from cattle in Argentina and Brazil. They are pasture-raised and grass-fed based on the standards of the American Grassfed Association and animal welfare guidelines. Being forage based eliminates the potential use of growth hormones, antibiotics, and steroids, which follows the Food and Agricultural Legislation in Argentina and Brazil. Great Lakes Gelatin is committed to monitoring emerging welfare practices and research in order to stay informed about the latest advances in animal welfare, as well as food safety and quality. 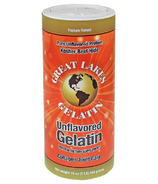 Regardless of your personal needs, better health, enhanced performance or that additional glisten to your skin or hair, Great Lakes Gelatin continues to push the standards of quality when it comes to their products to ensure that you can achieve your goals.